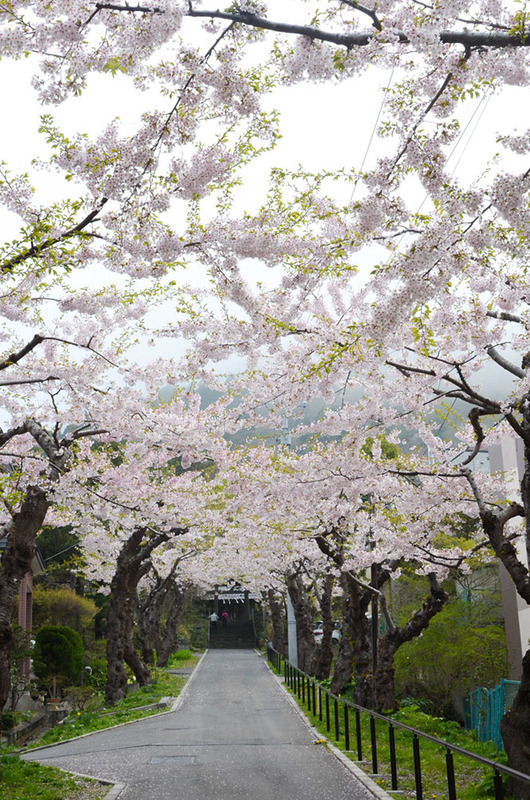 Sumiyoshi Shrine (住三吉神社) is a shrine at Sumiyoshi-cho, the foot of Mt. 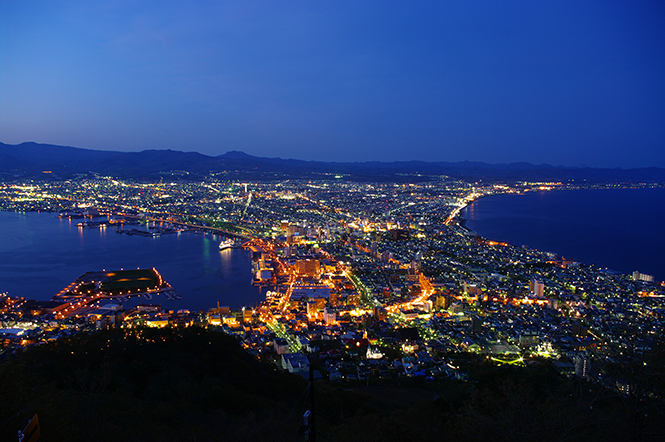 Hakodate (函館山) in the south part of Hakodate city, and is close to Cape Tachimachi (立待岬), Yachigashira Onsen (谷地頭温泉) and Hakodate Park (函館公園). 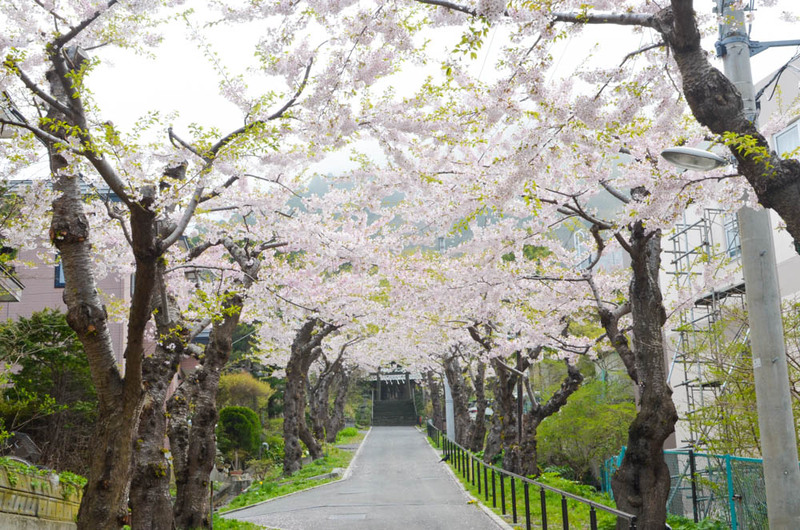 The shrine has been reported Sumiyoshi Shrine founded in the Kamakura period. 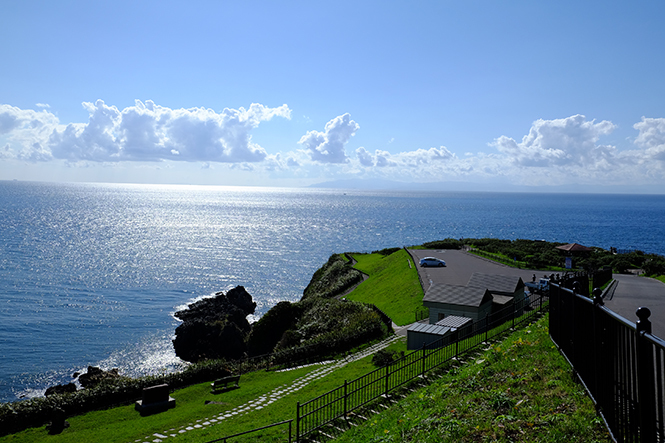 I think that Sumiyoshi(住三吉) Shrine is odd name, and Sumiyoshi(住三吉) Shrine merged Sumiyoshi(住吉) Shrine with Miyoshi(三吉) Shrine. 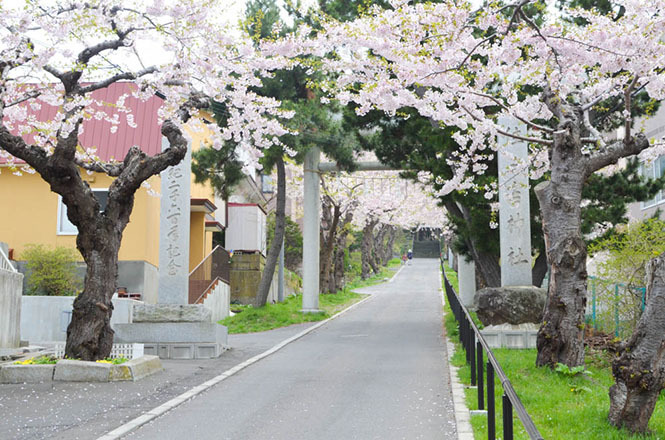 The name of Sumiyoshi(住三吉) Shrine is a good combination. 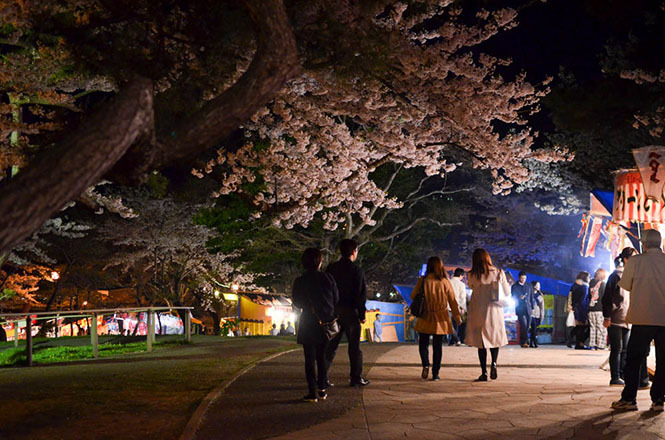 It is famous as a good place to see cherry blossoms, and the best time to see is from late April to early May. Admission free. A parking lot and a restroom are not provided. Express Hakodate-go (高速はこだて号) and Hakodate Limited Express New Star-go (函館特急ニュースター号), express buses, run between Sapporo and the Hakodate. 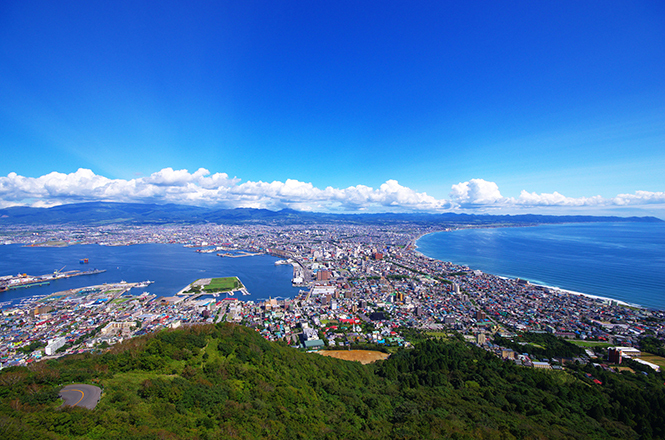 Unfortunately, the express bus does not run between New Chitose Airport and the Hakodate. 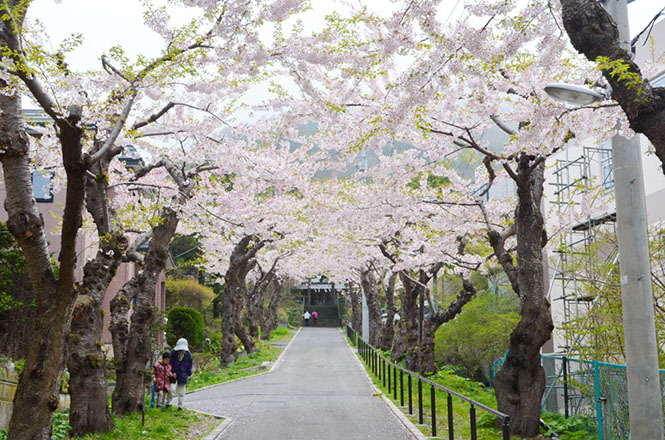 About 30 Yoshino Cherry Trees (ソメイヨシノ) are planted along an approach to the shrine with about 100 m in length, and cherry blossoms are in full bloom in a spring. 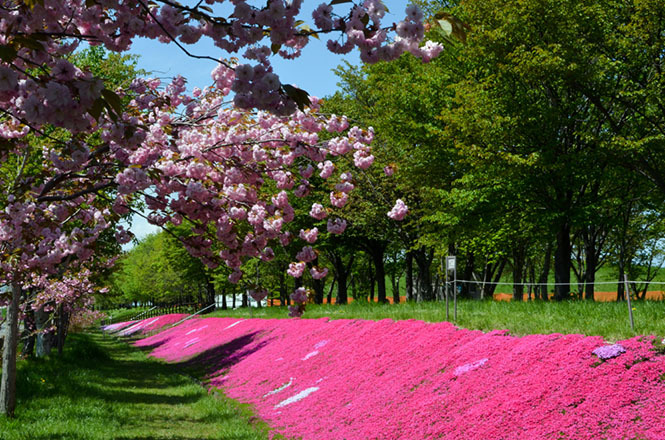 It is as if walking through the cherry blossom tunnel, and visitors will feel very comfortable. 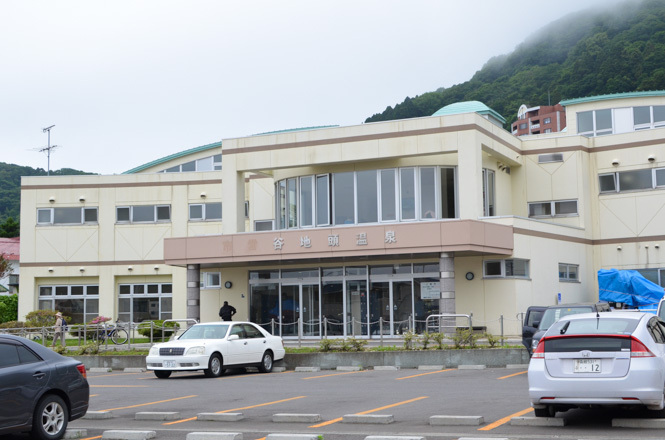 The site is small, so it takes less than 30 minutes to look around on foot.